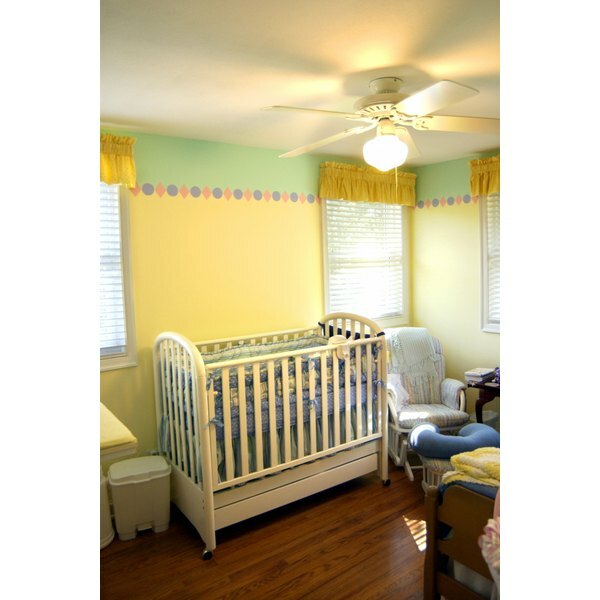 A crib canopy can enhance your nursery decor. Some women hold onto their wedding gown and veil in hopes of using it for something else in the future. When you have a baby, it provides an opportunity to recycle your old wedding veil to help decorate your baby's nursery. Some people choose to use a canopy over a baby's crib as a form of decoration. Your wedding veil can be transformed into a canopy to give a little more character to your baby's room. Drill a small hole into the ceiling directly above the crib where you want the canopy to hang. 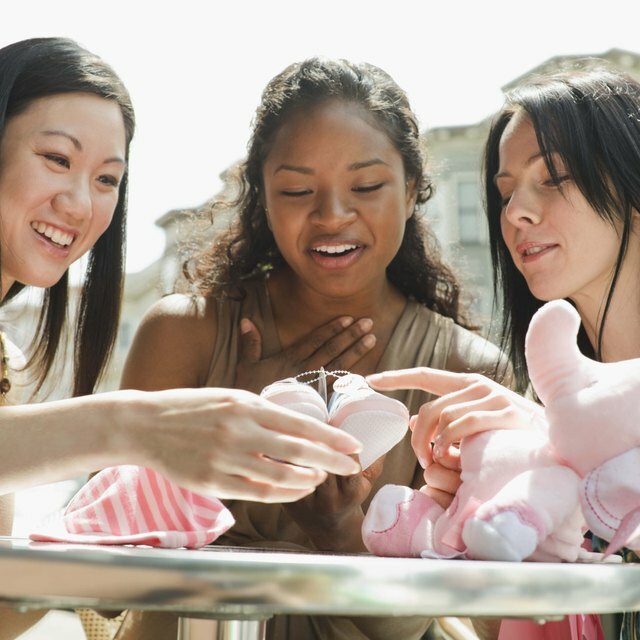 The canopy should be positioned over the end of the crib where your baby's head lies. Twist in a ceiling hook. Tie a 2-foot piece of invisible thread onto your veil's crown or headband. Tie the other end to the ceiling hook to suspend your veil. Tie a few pieces of invisible thread about 2-1/2 to 3 feet long at intervals around the veil about 1-1/2 to 2 feet from the crown of the veil. Use at least three strings at regular intervals -- one on each side of the veil and one at the back. Tape the other end of each string to the ceiling about 1 foot away from the ceiling hook to balloon the veil out a little. Drape the hanging ends of the veil along the outside of the crib rails if the veil reaches that far. Remove the veil canopy as soon as your baby can pull up to standing in the crib or is able to reach and pull on the veil material. At this point, it becomes a hazard to your child. You can also use a canopy stand to suspend the veil canopy above the crib rather than using a hook in the ceiling. How Many Calories in a DQ Frozen Ice Cream Cake?